Gut microbiome research is a fascinating area of nutritional science and has even been called the "future of medicine". The bacteria that live on our skin and in our digestive system outnumber our cells by 10 to 1, so it makes sense that the health of our microbiome is so essential for our overall wellbeing. This is an excellent presentation introducing the many reasons why this research is extremely important and how we can support the health of our microbiome. 1. Eat unpasteurized fermented foods on a regular basis. I try to include a serving of fermented vegetables in either my lunch or dinner or sometimes both! Examples of unpasteurized fermented foods are: sauerkraut, kimchi, miso, water kefir, and home-made coconut yogurt. *Avoid fermented foods if you have histamine intolerance. Please email me if you would like to learn more. 2. Use a water filter for your drinking water and shower. Chlorine kills bacteria so consuming too much chlorinated water could negatively alter our microbiome. I use the Santevia water pitcher and shower filter. 3. Eat organic and Non-GMO to avoid pesticide residue. Learn How to Shop GMO-Free. 4. Eat plant-based whole-foods. Many types of fibre contained in these foods are prebiotics that help build and maintain proper microbiome balance. 5. Limit your consumption of refined sugar and refined carbohydrates since these are the preferred food for non-beneficial yeasts and bacteria - the kind we don't want. 6. Avoid antibiotics unless absolutely necessary. If you must use antibiotics, be sure to follow up after with a high quality probiotic supplement to help rebuild the population of good bacteria in the intestines. 7. Live dirty! Spend time in nature, play in the soil, and garden. Try not to over-sanitize your indoor environment with antibacterial sprays and cleansers. Of course this is best if done from an early age in order to strengthen and train the immune system, but if you are healthy and do not have a compromised immune system then it is never to late to start. Training of the immune system from a young age is an important factor for the prevention of autoimmune conditions, where the immune system confuses our own cells with something that needs to be attacked. Feel free to book a complimentary 15-min Discovery Call if you would like one-on-one support for 'growing your inner garden' and improving your digestion, mental clarity, and energy levels. Last week I was the guest speaker for the screening of 'That Sugar Film' for the White Rock Social Justice Film Society. We had a great turn-out and it was amazing getting to answer everyone's questions after the movie. It is quite inspiring to know that this type of movie can cause such a ripple-effect of positive change. Each and every person that was at the screening will now inspire and educate their friends and family about the consequences of too much sugar in the diet and hopefully that message will keep spreading! As a nutritionist, the negative health effects of sugar is not new information, however, there is something so powerful about seeing the effects instead of just hearing about them, which is why I think this documentary is so essential for bringing this message to the general public in such an effective and entertaining way. This film documents the mental, emotional, and physical consequences of consuming the average daily intake of sugar - coming from hidden sources like sauces and cereal and 'healthy' snack bars and drinks. "THAT SUGAR FILM is one man’s journey to discover the bitter truth about sugar. Damon Gameau embarks on a unique experiment to document the effects of a high sugar diet on a healthy body, consuming only foods that are commonly perceived as ‘healthy’. Through this entertaining and informative journey, Damon highlights some of the issues that plague the sugar industry, and where sugar lurks on supermarket shelves. THAT SUGAR FILM will forever change the way you think about ‘healthy’ food." If you want to find out how you can benefit from eating less sugar and refined carbohydrates book your complimentary 15-min Discovery Call and we can discuss the best way for you to transition to less sugar, what healthy swaps are available, and what type of service will provide you with the most support. An informative documentary that examines the health effects of the Standard American Diet including interviews with some of the top doctors that specialize in plant-based nutrition. Provides an in-depth investigation into the health benefits and research behind adopting a whole-food plant-based diet. 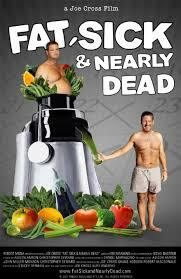 The movie is available for purchase at Forks Over Knives. Released in 2004, I think this was the first documentary I watched that explored the complex issues regarding the safety and science of GMO foods. This was during the second year of my Science Degree in Nutrition at the University of British Columbia. I had already studied biochemistry, biology, and genetics enough to know that there is something inherently wrong with tampering with the genetic sequence of the foods we are eating. There are approximately 20,000 genes in the human genome. Genes contain the instructions for making different proteins in the body. It was originally assumed that each gene coded for one specific protein. However, since the number of different proteins we have in our body is closer to 100,000-500,000 it means that each gene codes for more than one protein. "It seems to be a matter of five or six proteins, on average, from one gene." says Victor A. McKusick, of the Johns Hopkins University School of Medicine. There is no way to fully predict or understand what the outcomes will be of cutting up and inserting foreign genes into the genetic code of plants and animals. How will we know what genes and proteins will be affected? How will we know what other proteins will be created in addition to the one they inserted? There are just too many variables to assume we can fully understand all the outcomes. To add to this complexity is the fact that we have a whole ecosystem of rapidly reproducing bacteria that live inside our digestive tract. There are actually more bacteria in the intestines than we have cells in the entire body. What happens when these fragments of foreign genes from the GMO food we eat gets inserted into these bacteria? 1) Plants inserted with a gene that codes for an insecticidal protein. This means the plant is producing an insecticide right inside of its cells, so when an insect tries to eat the plant it will die. And yet this is supposed to be safe for us to eat because it is in such small amounts? Well what happens when this is in over 80% of the food we eat? Have they ever tested the accumulated effects of this high rate of consumption? 2) Plants inserted with a gene that codes for a protein that makes the plant more resistant to pesticides and herbicides. 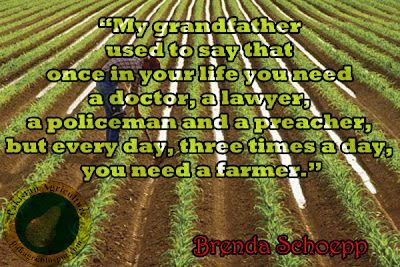 Now, the farmer can spray as much as they like without killing the GMO crop, just all the weeds, insects, and the whole ecosystem that lives in the soil. Now we are left with "food" covered in pesticide residue, one of the most common being glyphosate. It is not just the pesticide residue and insecticide-producing gene we have to be concerned about when food is grown this way, it actually creates a situation where the plant now contains less vitamins, minerals, and antioxidants. What we call antioxidants are actually part of the plant's immune system, and when a plant it grown with all these synthetic fertilizers and man-made chemicals they never get to use their immune system - less immune system stimulation = less antioxidants. "The Future of Food distills the complex technology and consumer issues surrounding major changes in the food system today -- genetically engineered foods, patenting, and the corporatization of food -- into terms the average person can understand. It empowers consumers to realize the consequences of their food choices on our future." For practical steps to take to avoid purchasing GMO foods and how to identify if a product contains GMO ingredients I offer 'How to Shop GMO-Free' Grocery Store Tours as well as a video about what ingredients to watch out for which is included as bonus material in the 21 Day Vibrant Health Program. Corn - from wholesome natural corn on the cob to now ubiquitous use in almost every packaged food, animal feed and one of the main GMO crops. This documentary looks at the social, political, environmental, and health aspects of growing so much corn and how it has become one of the most subsidized crops in North America. "King Corn is a feature documentary about two friends, one acre of corn, and the subsidized crop that drives our fast-food nation. In the film, Ian Cheney and Curt Ellis, best friends from college on the east coast, move to the heartland to learn where their food comes from. With the help of friendly neighbours, genetically modified seeds, and powerful herbicides, they plant and grow a bumper crop of America’s most-productive, most-subsidized grain on one acre of Iowa soil. But when they try to follow their pile of corn into the food system, what they find raises troubling questions about how we eat—and how we farm." An interesting, entertaining, and heartwarming story about the transformation of a conventional farm into a thriving biodynamic farm and the success of Community Supported Agriculture (CSA) programs. 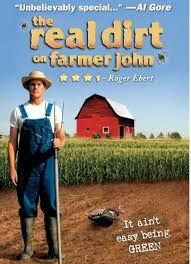 "The epic tale of a maverick Midwestern farmer. An outcast in his community, Farmer John bravely stands amidst a failing economy, vicious rumors, and violence. By melding the traditions of family farming with the power of art and free expression, this powerful story of transformation and renewal heralds a resurrection of farming in America." I came across this film recently when I was doing research for my course at Langara College on Food, Health, and Sustainability. Although the UN's report on this topic was released in 2006, this important information has yet to become common knowledge. We all know how eating local and organic is beneficial for the environment, however, it is less obvious how raising animals for food is depleting the Earth's resources. 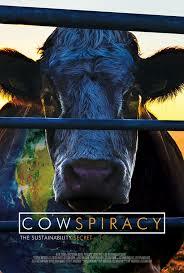 "COWSPIRACY: The Sustainability Secret" promises to be both shocking and humorous and as eye-opening as Blackfish: "a groundbreaking feature-length environmental documentary following an intrepid filmmaker as he uncovers the most destructive industry facing the planet today, and investigates why the world's leading environmental organizations are too afraid to talk about it." Due to the fact that this is somewhat of a controversial topic, the filmmakers lost some funding during the production of this film. They are now relying on crowd-funding for post-production and release of the film. If you are interested in supporting this cause please visit their Indiegogo Campaign. A very inspirational movie about a man that decides to take his health into his own hands by committing to a 60 day juice cleanse. "100 pounds overweight, loaded up on steroids and suffering from a debilitating autoimmune disease, Joe Cross is at the end of his rope and the end of his hope. In the mirror he saw a 310lb man whose gut was bigger than a beach ball and a path laid out before him that wouldn't end well— with one foot already in the grave, the other wasn't far behind. FAT, SICK & NEARLY DEAD is an inspiring film that chronicles Joe's personal mission to regain his health. With doctors and conventional medicines unable to help long- term, Joe turns to the only option left, the body's ability to heal itself. He trades in the junk food and hits the road with juicer and generator in tow, vowing only to drink fresh fruit and vegetable juice for the next 60 days. Across 3,000 miles Joe has one goal in mind: To get off his pills and achieve a balanced lifestyle." Juicing is a very powerful healing tool because the energy that normally goes to digestion can go to cellular detoxification and regeneration, as well as supplying the body with an abundance of nutrients that are instantly absorbed. It is important to focus on vegetables and non-sweet fruits, incorporating apple or other fruits is okay once and awhile, just be sure to enjoy in moderation. My favourite foods to juice include: leafy greens, fennel, cucumber, celery, ginger, lemon, lime, turmeric, and then apple, pear, pineapple, watermelon, and grapes in moderation. *If you have diabetes or hypoglycemia it is best to avoid fruits and sweet vegetables like carrots and beets altogether. Small amounts of fruit can be enjoyed in a smoothie however. Juice feasting can be implemented for 3-60 days, depending on your goal and current state of health. If you have a chronic illness and/or are on medication it is best to consult your healthcare professional for a supervised juice cleanse. Please visit the Fat, Sick & Nearly Dead website for more information. I recently went to an informative and engaging talk by Dag Falck at Choices Market. Falck is recognized as an organics expert due to his long term involvement in organic farming regulation. One thing that really stuck with me after this presentation is the fact that the genetic 'pollution' caused by the growing of GMO crops is almost impossible to control. Once a GMO seed blows in the wind or is carried by a bird into the environment and then cross-pollinates with a non-GMO seed — that will result in a GMO plant. When that plant then pollinates with another non-GMO plant, either in the wilderness or on a non-GMO farm, that will produce another GMO plant. This means once a GMO seed is released in the environment it will start a chain reaction, spreading its genetic pollution far and wide. If we do not stand up to the growing of GMO crops, pretty soon it will be impossible to find a plant that is not contaminated with genetically altered DNA. One way we can help prevent this is by increasing awareness by talking to your friends and family, contacting your local politicians, talking to your local grocery stores about labelling products and teaching people how to avoid GMOs when they are buying groceries. I am available every Monday and Wednesday at Choices Market in Yaletown to show people how they can shop GMO-free. A really effective way to spread awareness about this problem is by showing one of the many documentaries on GMOs. 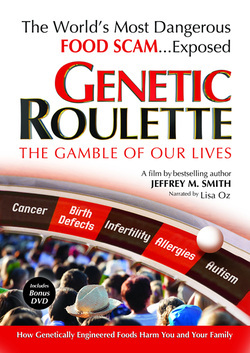 Genetic Roulette dives deep into the science of GMOs and issues regarding GMO safety, as well as social and environmental issues (see trailer below). Here is a list of products that contain GMOs. It is safe to say at least 80% of the products on the store shelves contain GMOs. A good way to avoid GMOs is to cook from scratch using organic ingredients, and if you do buy a packaged product, look for ones with the Non-GMO Verified Product Label. This documentary follows the research of Garrett, a 15-year old boy living in the Alaskan wilderness. "Growing up close with nature has given him a deep understanding of nutritional needs required by diet sensitive animals on the reserve. Unfortunately, the untimely and tragic death of his mother propelled him into a downward spiral and he risked flunking out of school. This led to his father’s decision to home-school Garrett. His first assignment was to study a controversial book written over 50 years ago by Dr. Max Gerson." I love this documentary because not only does it focus on The Gerson Therapy it also touches on so many different topics including: mercury fillings, MSG, flouride, aspertame and more. The DVD can be purchased on the Gerson website. MAY I BE FRANK documents Frank’s transformation as he stumbles into the aptly-named Café Gratitude, and, over 42 days, begins a life-changing journey during which he is coached physically, emotionally and spiritually by three twenty-something staff members on the path to enlightenment. Challenged by years of addiction, fatigue, and family dysfunction, Frank’s quest for a healthier lifestyle is both tense and touching. Through Frank’s metamorphosis, we witness the powerful effects of change upon one person’s life, and the potential we all have to find the most important love of all–love of ourselves. Join us on January 16th, 2014 for a screening of May I be Frank? at the new Gorilla Food location. Enjoy a slice of raw, vegan, gluten-free pizza included with the ticket. I have never known the healing power of nature to be more true then when I was gardening everyday. There was something special about physically connecting to the earth beneath my bare feet. The health and healing benefits of spending time in nature is nothing new - it is inherent knowledge that we have in every cell of our body, whether we are aware of it consciously or subconsciously. "Grounded" is an intriguing documentary focusing on the healing power of the nature, specifically looking at the free electrons released from the earth and how they play a role in our overall health and wellbeing. Watch the full documentary online for free. We have become deficient in this energy emitted from the earth, the source of the grounding free electrons, due to covering the earth with concrete, wearing shoes, and living in high-rises. 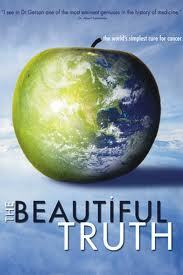 This documentary is a great reminder how important it is to spend time in nature and place our bare feet in the soil. There are also many products now availing to bring this energy indoors, so if you spend a lot of time indoors these can be very beneficial. Check out some of the products available on the Earthing website. There are even shoes available for earthing. Here is just one of the many companies offering earthing shoes. I know I'm going to be making more of an effort to walk bare-foot on the earth! Contact Shawna today for Nutrition Consulting, Personal Chef services or a Private Raw Food Class to learn how to ensure you have a good nutritional foundation for your journey to holistic health. Supercharge Me is a fun, entertaining documentary about Jenna Norwood's experience eating a raw food diet for 30 days. The story examines the many health benefits of raw foods, including the measurable changes to her health that were collected before and after the 30 days. She also interviews many people along her journey and spends some time at the Optimum Health Institute. For more information you can visit her website, or watch the movie online. If you want to opt out of this worldwide experiment that is currently taking place regarding GMO safety then your best bet is to eat organic. If you haven't already heard about the negative health implications discovered from studying animals that are fed genetically modified foods, then I would recommend watching the documentary GMO OMG. Once you learn about the consequences of consuming GMOs you may want to spend a little extra time in the grocery store reading ingredients. 1. 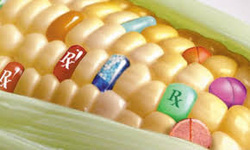 Learn what crops on the market are currently approved GMOs. 2. Always buy the organic options for foods that are typically GMO. 3. Packaged foods can be tricky - a package can say organic even if some of the ingredients are not organic (i.e. may only contain 80% organic ingredients). One example could be organic corn chips where the main ingredient is organic but maybe the vegetable oil is not - vegetable oil can include soy oil, corn oil, canola oil, and/or cottonseed oil - all of which are GMO unless they are organic. 4. Learn the different names for corn-based ingredients and make sure those are listed as organic. 5. Look for the Non-GMO Verified Project logo. When the topic of soy comes up many people, especially men, say they try to avoid it due to the phytoestrogens present. While it is true soy, as well as flax, does contain some phytoestrogens, it should be the least of our concerns. The main culprit of too much estrogen in the body comes from our environment in the form of pesticides, plastics, canned foods, animal products, and other endocrine disrupting chemicals in our personal care products and household cleaning products. A great documentary that explores this topic is called The Disappearing Male and it can be watched online for free. I highly recommend watching this eye-opening documentary, and then start making an effort to minimize your exposure to these endocrine disrupting chemical compounds, whether you are male or female. Other whole-food sources of organic soy, such as edamame and tofu, are fine in moderation; Inspire Health recommends up to 3 servings per week can be consumed without negatively affecting your health or hormone levels. The bottom line: listen to your body and enjoy a wide variety of plant-based foods which may include organic fermented/whole-food soy in moderation. Contact Shawna today for Nutrition Consulting, Personal Chef services or a Private Raw Food Class !